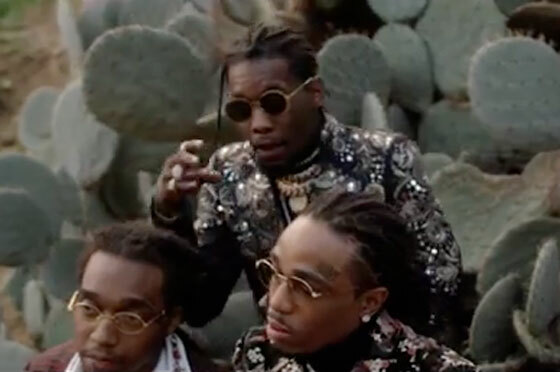 Once again, Migos have unloaded some new visuals upon us. Throwing more weight behind their C U L T U R E, the crew have this time set album cut "Get Right Witcha" to some moving desert-set images. With some heavy use of strobes flickering in and out, we get eyefuls of fancy rides, even fancier jewelry and wads of cash — not to mention a few bird flips. Oh, and if you you've ever watched to see Migos on horses, here's your chance. "Get Right Witcha" is up to view below so you can stay all C U L T U R E'd.